by Esri. HawkSight SRM’s reports that it has been working, with the security contractor Pilgrims Group Ltd, for over two years with the non-departmental public body. The newly launched Esri powered version of the software includes enhanced ArcGIS – such as scalable mapping with global-to-local overview, live incident feeds, selectable satellite tracking overlays, and risk assessment. British Council Nigeria has been an early adopter of the first version of the product. 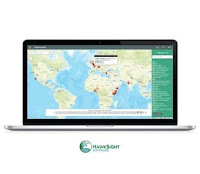 In the first instance, HawkSight Consultancy was responsible for training staff both in the latest methodology of risk and also the use of HawkSight software. That training has allowed British Council Nigeria to efficiently assess the security risk to its projects and to develop security controls that reflect the ever-changing security risk environment in which it operates. Stephen King, Head of Security for British Council Nigeria said: “We’re excited to be working with the latest version of this ground-breaking software. By enabling our security teams to apply standardised methodology to our security risk assessments we’ve increasingly been able to manage our own risk management process. The combination of critical information and overlay of current and historical threat data in a map format gives us the ability to make informed decisions and to mitigate risk effectively. It’s undoubtedly contributed hugely to the expansion of the programme, has transformed our approach to security management. 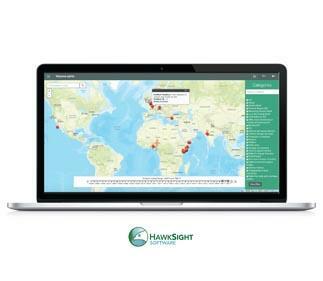 “Working with HawkSight Software powered by Esri means that we can instigate and update security threat analysis, risk assessments, and risk treatment plans in hours rather than the days or weeks it took previously.